When it rains, the only thing you’d most probably like to do is curl up with a blanket on a cosy couch in front of your window or door. Maybe a cup of coffee or tea with it and the smell of wet mud and plants hitting your nose. Some hot food. What’s best is for you to vacation on a monsoon season and enjoy such life’s simple pleasures to the fullest intensity. Sand Pebbles offer monsoon tour packages which are not only affordable, they are fully experiential and cover every aspect of what would be required on the trip. During the monsoon season, stores and hotels and many water-based activities are cheap. High discounts are offered. Kerala is usually expensive but during the monsoon season, it is worth a visit. Don’t let money be a hurdle. Monsoon season in Kerala means many rituals and events. Around August to September, the people of Kerala celebrate a harvest festival known as Onam. People of Kerala, during this festival, tend to buy new clothes, visit temples, pray, etc. Another event which is celebrated/ carried out during the monsoon season is the annual snake boat race on Pamba River. Monsoon season is the time to get the best ayurvedic treatments in Kerala. Many hotels and spas offer this traditional treatment which involves yoga, essential oils, meditation, etc. Plus, Kerala is an amazing place with beautiful nature. It is known as ‘God’s Own Country’ for a good reason. Choose to have the best experience of your life in Kerala by choosing the Kerala monsoon tour offered by Sand Pebbles. 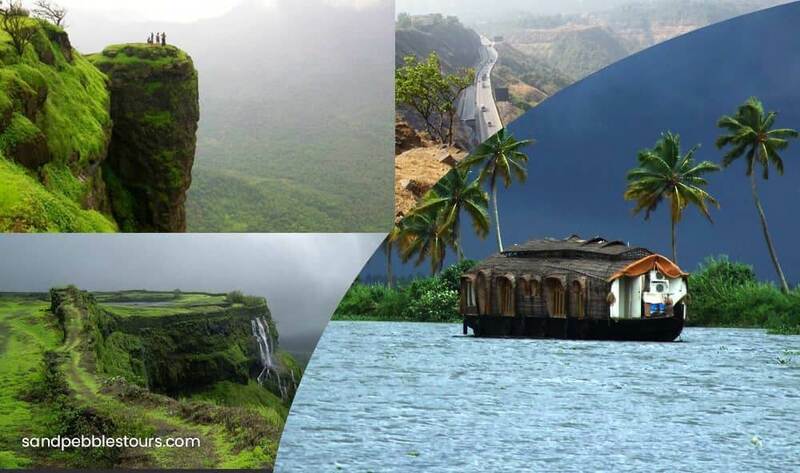 This monsoon tour package consists of everything you can think of doing on this trip. From sightseeing to water-based activities to fine dining. Everything is included.